Only one way exists to ensure your temporary grave marker looks and reads exactly the way you envision it: make it yourself. There are numerous additional benefits to crafting your temporary monument. You’ll save relatives from scurrying around for a permanent stone at a time they’re most vulnerable, and your efforts are bound to assure and comfort loved ones that your temporary headstone is a statement that you gracefully accept the inevitability of life’s final ritual. 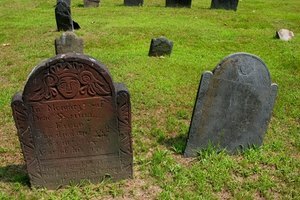 Research the types of materials and designs artisans and crafters are currently using to make temporary markers, or visit cemeteries in your area. Ask staff to show you the temporary markers currently being placed on graves as they await a permanent headstone. Alternately, find books on the subject or surf the Internet (see the link in the Resources section) to gather design ideas. 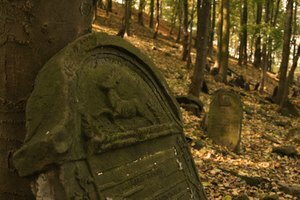 Visit, phone or email the staff at the cemetery destined to be your final resting place. Query them on the types of materials, sizes and other limitations that must be adhered to at their facility for the installation of your handcrafted temporary marker. Follow the lead of those who have experience making temporary markers (see the link in Resources) as you approach the design process. 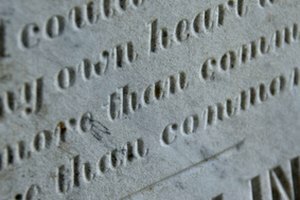 Assuming you’ve been told by cemetery authorities that you may install a temporary marker that’s 36-inches-tall by 24-inches-wide, render the design using a pen and paper or a computer draw program to scale (e.g., 6-inches-by-4-inches). Shop for construction material. Borrow or rent carpentry and power tools you may not already own to craft your grave marker project. 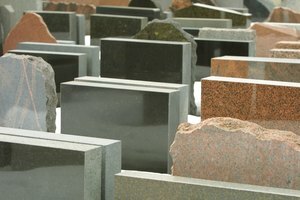 Work with plastic or wood, two popular materials for temporary headstones. Follow your sketch to cut your material to size using power tools and blades designed to accommodate your chosen material. 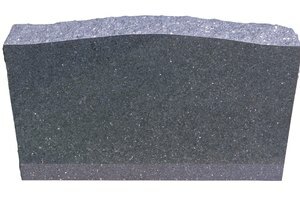 Finish the edges of the temporary grave marker with a burnisher, sander or other material-specific tool. 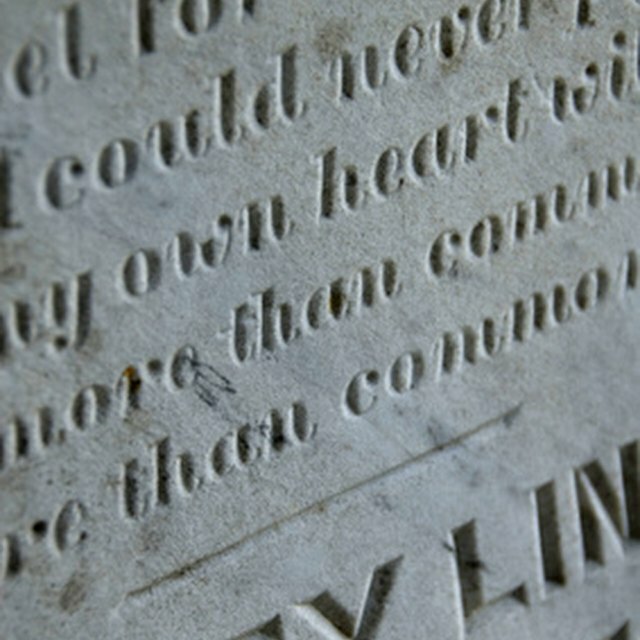 Choose from one of the following methods of “engraving” your temporary grave marker: 1) Use sign-making router jigs or another wood burning tool to incise letters and numbers; 2) glue or nail bas relief letters of the same material (e.g., Lucite on Lucite or wood on wood) to the face of the monument; 3) have the marker professionally engraved (see the link in the Resources section) to achieve a more polished result; or 4) have a piece of copper etched with the text you’ve chosen and fasten the plate to the temporary grave marker. Treat your temporary headstone with a sealer (e.g., Thompson’s water sealant is a good choice) if you’ve crafted the marker with wood—particularly if it’s to remain on the grave for a year in an area that is subject to harsh weather. Choose and attach lengths of sturdy material to the back of the marker (e.g., rebar or another thick metal) to give it plenty of stability when it’s plunged into the ground to secure your temporary grave marker in place. Cohen, Gail. "How to Make Your Own Temporary Grave Marker." Synonym, https://classroom.synonym.com/how-to-make-your-own-temporary-grave-marker-12080144.html. 29 September 2017.